Looking for a self tan product that you can work out in? I understand you want to be toned and fit and you don’t want to sacrifice your perfect bronze glow for it. Well, we’re here to make sure you can enjoy both by equipping yourself with the right knowledge and self-tan products suitable for workouts. Bondi Sands Is a bit on the expensive side, but for working out I love this combo! I purchased mine at Walgreens I also purchase the Bondi Sands Tan Eraser For any mistakes that may have happened. Today I’m going to give you some tips and tricks to keep your tans looking nice and fresh. Wash it off and then I use the Bondi Sands tanning milk. I usually self -tan on an off day from working out so that way I’m not sweating too soon and that way It won’t get patched. To maintain the tan I use the tanning milk every day after my shower. It keeps my tan looking fresh and it smells delicious. After applying a fresh tan and while it is still developing, the tan is far more susceptible to sweat and moisture, so working out and sweating all over it will make it streaky, patchy or uneven. Ensuring you rinse your tan correctly by having a lukewarm, 45 second shower, you’ll make sure your tan comes out perfectly developing and as dark as you’d like it to be. This rinse will help to wash off any excess self-tanner while also helping to ensure it is fully set and ready for you to hit the gym without affecting it! In addition to not showering during those first few hours, it is also essential that you avoid moisturizing or using lotion as this will help to strip away the spray tan and cause the color to fade. However, once you have had that initial shower, you can then resume moisturizing as normal. To avoid causing your tan to fade or streak, it is recommended that you moisturize your skin just prior to working out to help lock in the color and prevent your skin from drying out and going flaky. Using a gradual tan moisturizing product is a great way to keep your skin hydrated and color in place. 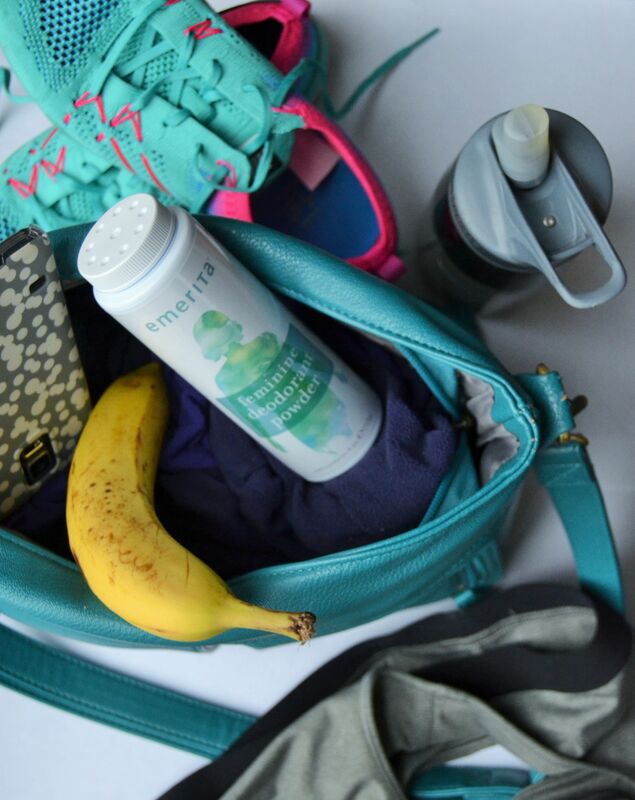 emerita is the brand of feminine deodorant powder I use for workout freshness. Not all self-tan products are created equally, which means that some are far more resistant to sweat than others. For instance, MineTan Fitness Tan’s are specifically designed for those who frequently hit the gym and provides superior resistance against fading, discoloration and other sweat-related issues. How? The formula allows perspiration to pass through the tan instead of taking it off.